Included was their Mr. Hyde, from their "Wild Oats Series". A vintage 33 (vinyl record) with some local bands and well as some pins and promotional material. 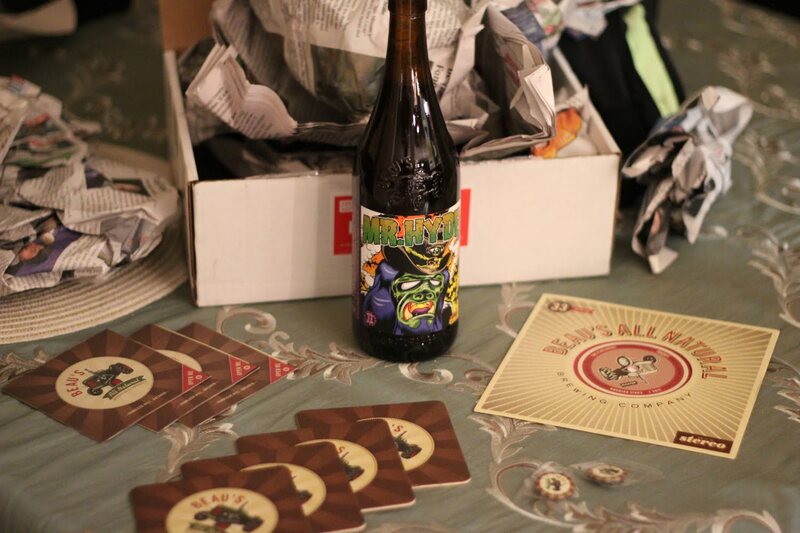 Look for some contests in the coming weeks for some beer swag! Mr. Hyde • Roggenbier meets RyePA • 7.0% alc./vol. "A tribute to the Roggenbiers of Germany, but done with with a North American twist. 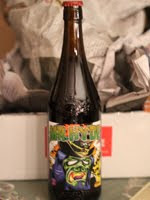 Deep copper in colour, Mr. Hyde is a rye beer that has been hopped aggressively in the American vein. However, it utilizes German hops to provide bitterness, flavour and aroma, while the rye malt provides an additional spiciness."